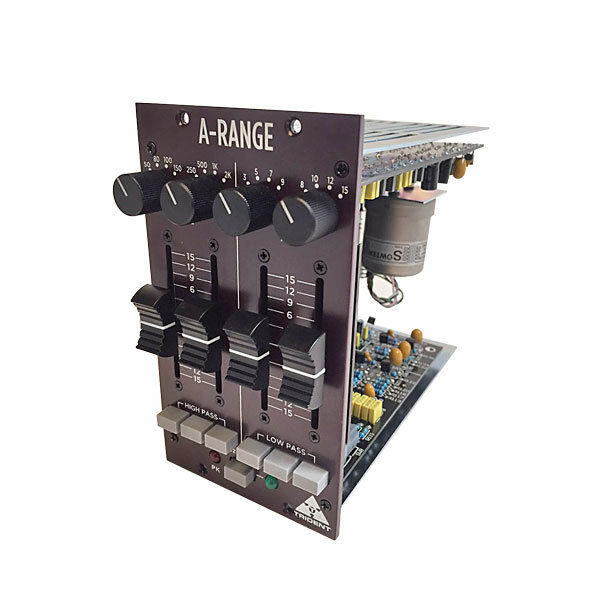 The legendary A-Range® equalizer holds a unique place in audio history, with a stunningly musical sound that resulted from its all-discrete transistor circuitry and the use of inductors in the upper and lower mid bands. 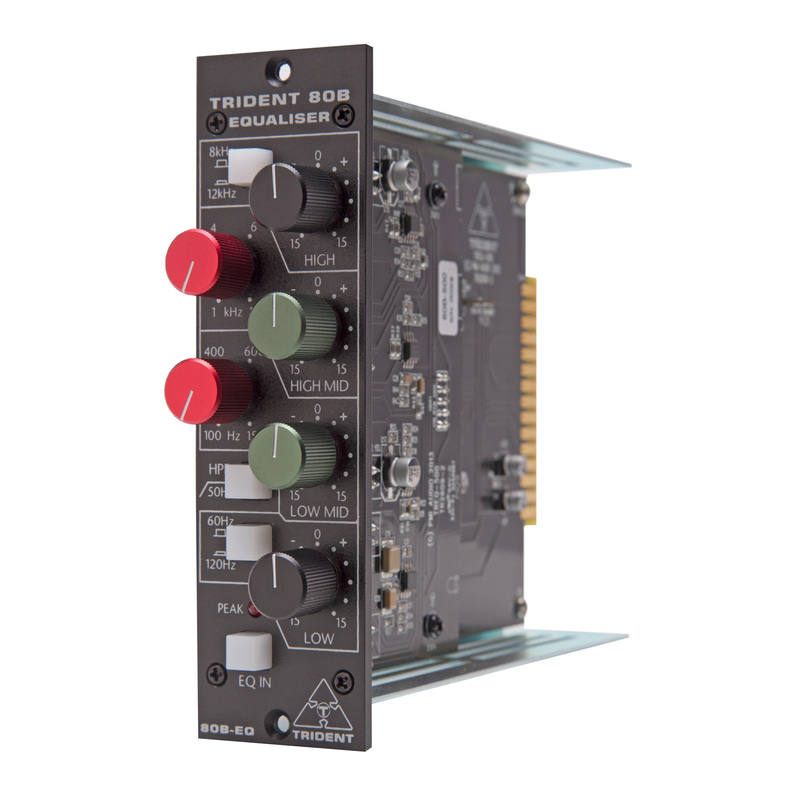 The Series 80B 500 Series EQ incorporates a classic four band equaliser which is identical to that employed in the Trident Series 80 console. It consists of frequency switchable high and low pass shelving sections, coupled with two swept low and high mid range bands and a switchable 50Hz, 12dB per octave filter. The Deca-Dent is a new 10 space 500 Series rack mount chassis from Trident Audio Developments. 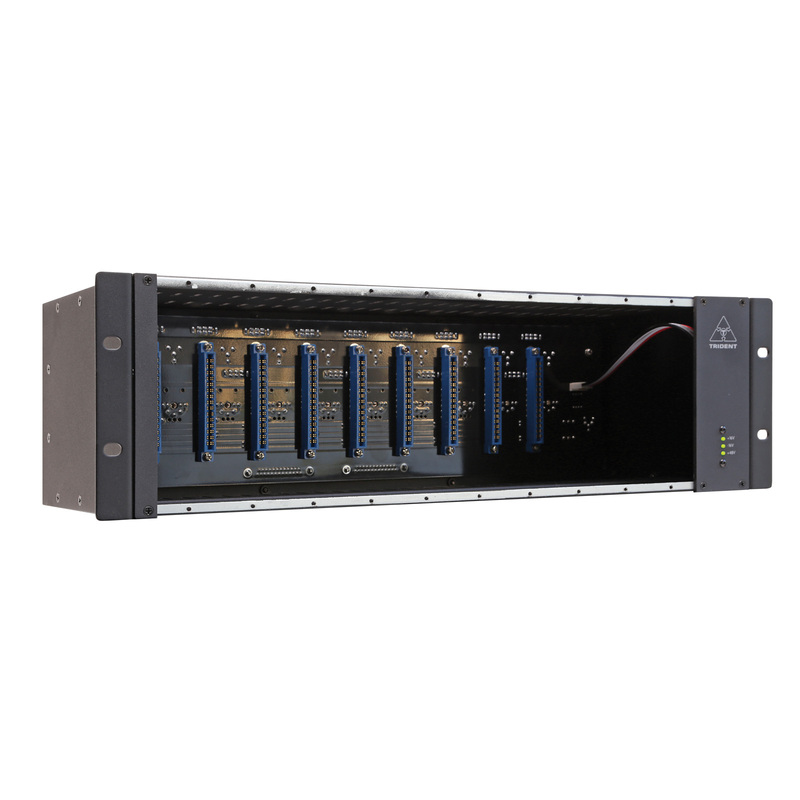 This 500 series chassis is unique because it features the most versatile set of connections on the market, along with features not found on other 500 Series chassis. 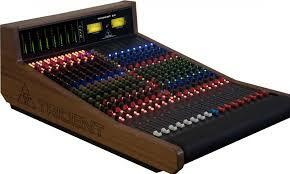 The new Series 78 all analog consoles are all Trident through and through. The Trident Series 78 is a cost effective mixing console tailored for engineers, studio owners, educational facilities, houses of worship, and live sound applications. The 78’s are Split/lnline consoles with individual channels in 4-way panels. Using an 8 subgroup configuration and incorporating 6 Aux sends, its routing options are vast and simple to use. Connections are fast and easy with DB-25’s throughout the board and XLR’s for speaker and main outputs. The Trident 88 is a classically styled, in-line, eight-buss analog console and an advancement in lineage of the revered Series 80 mixing desks. Designed with manufacturability in mind, the 88 is artfully constructed for ease of use and workhorse reliability. Available in stock configurations of 8, 16, 24, 32, 40 channels and beyond. The model 88 is sized to fit the modern, high end facility – whether private, institutional, or professional.